Does your child attend daycare? Your child will learn to make friends, take turns, share, and more. But daycare is also a breeding ground for germs. Children are constantly getting into everything and putting their hands and other things in their mouths. And when they pick up a bug at daycare, they need extra care at home. Most of these illnesses are nothing to worry about. They are minor infections that will go away quickly without any lasting effects. 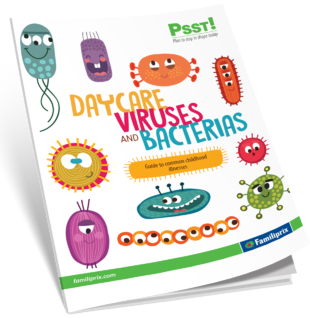 This guide has everything you need to know about some common illnesses your child may bring home. Can my child return to daycare?